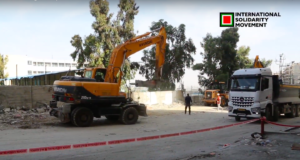 On Thursday 20th June, Israeli soldiers and border police handed out “stop building” orders to 11 buildings in the village of Duma, southeast of Nablus. The papers state that owners of the targeted buildings, which include family houses and a furniture factory, must stop construction because “it is forbidden to build” in that area. 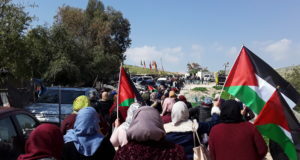 Villagers are ordered to apply for building permits at the illegal Israeli settlement of Bet El (which is also the headquarters of the Israeli Civil Administration); they are given 30 days to do so. 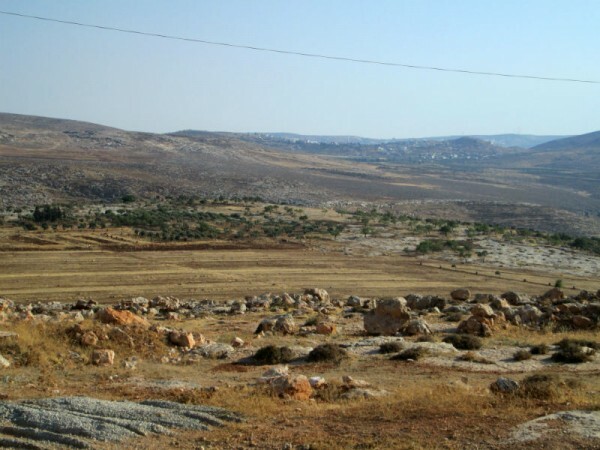 As is the case with most other villages in the occupied West Bank, the built-up area of Duma is declared Area B (under Palestinian civil and Israeli military administration, according to the Oslo Accords), while around 95% of the village’s land is Area C (under Israeli civil and military control). All buildings recently given “stop building” orders are in Area C; most of them are already fully built. Among them is a fully functioning furniture factory constructed 2.5 years ago; it employs 25 people from the village, most of whom are the main breadwinners in the family. The factory was given a “stop working” order, while its adjoining office building – a “stop building” paper. The majority of its production is sold in Israeli markets. It took the owner of the factory two months of daily knocking on institutional doors to attain a document recognised by both the Palestinian and Israeli authorities stating that he is the legal owner of the land he’s built on (29 dunums in total). He received the “stop building” order nevertheless, and is now ready to fight his case in courts. “In the end, this is our land and so we can build here,” a local resident told ISM. 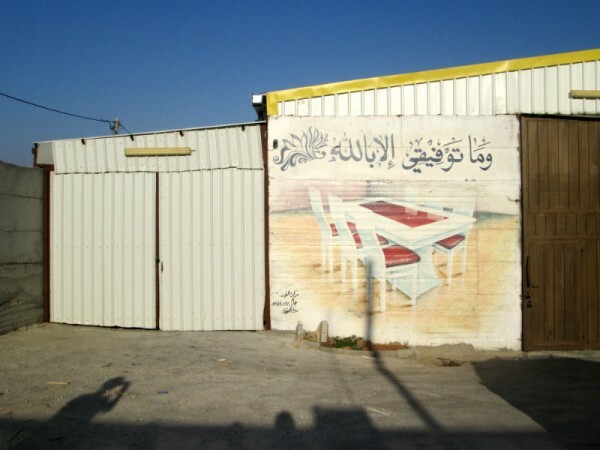 “It’s dangerous, yes, but we build anyway.” In 2008, the Israeli army handed similar “stop building” orders to several other villagers in Duma; people built homes for their expanding families nevertheless; those cases are still stuck in Israeli courts. Duma experienced its latest demolitions some 20 years ago. Villagers speculate that Israel has not yet demolished new “forbidden” buildings because of Duma’s geographical location: thanks to the rocky terrain, there are no nearby illegal settler colonies whose interests Duma would supposedly be threatening. 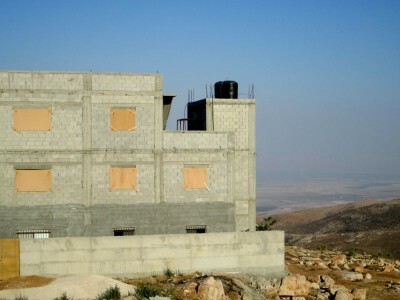 The reasons for such harassment as the recent “stop building” orders are thus threefold: intimidation of Palestinian population; explicit showcase of Israeli power and control over the territories it occupies (“They came to let us know that they are here, that they have the power,” a local resident commented); and money. 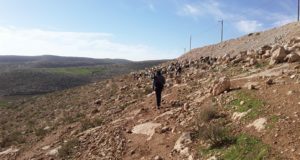 The Israeli army has also tried to deny Palestinian houses in the outskirts of Duma to be connected to electricity and water. Pressure from the Red Crescent led to the electricity cables finally being installed; negotiations are still going on regarding the half-finished water project.